Fashion and style always depends on good color and fantastic combination of shades and so we create best shades to enhance your beauty and personality. 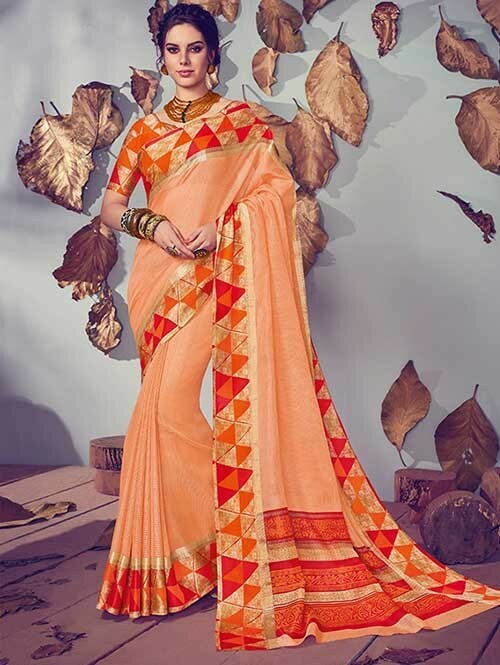 This Peach Colored pretty attire is comes with attractive Kota Silk fabric festive wear sari,Showing brilliant Print. Comes with matching fabric and un-stitched blouse piece.